The Tennis SA Places to Play team is part of a National team that supports participation sustainability and growth through a network of welcoming tennis venues and deliverers. 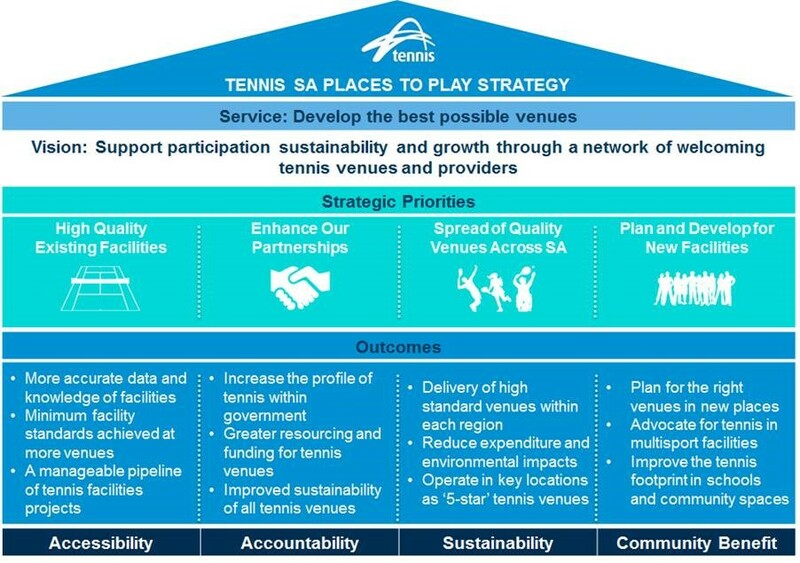 Tennis SA efficiently deliver projects using a clear project pathway process. This assists with identifying resource requirements and stakeholder management and allows for guidance and consistency in delivering quality tennis projects. Each individual project is unique and fluid, therefore the inputs at each stage vary based on the specific nature of each project. We encourage any local council, club, association, or school to contact us to discuss your facility project.